Use the provided brush to clean the cutting element. Use a damp cloth to clean the groomer exterior and the comb attachment. Make sure that the cloth is not too damp. 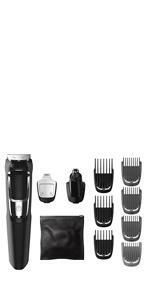 Our toughest multipurpose trimmer boasts tempered steel blades that self sharpen and will never rust. 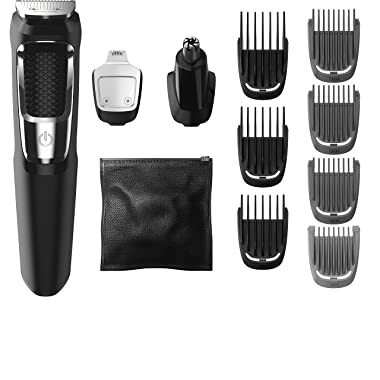 Includes a steel trimmer, a steel precision trimmer, a nose and ear hair trimmer, 3 hair trimming guards, 3 beard trimming guards, a stubble guard, an accessory storage bag, and a cleaning brush. 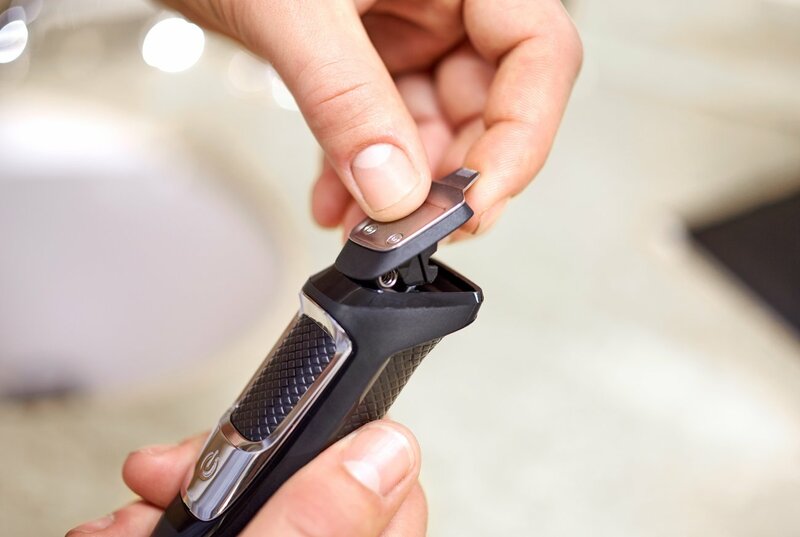 The trimmer’s tempered steel blades will never break, dull or rust and the guards are reinforced to prevent bending or buckling while you trim. All the attachments are rinseable. 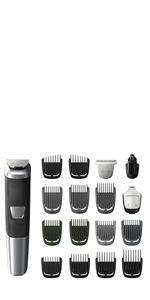 The trimmer’s rechargeable Lithium-ion battery delivers 60 minutes of run time on each charge. 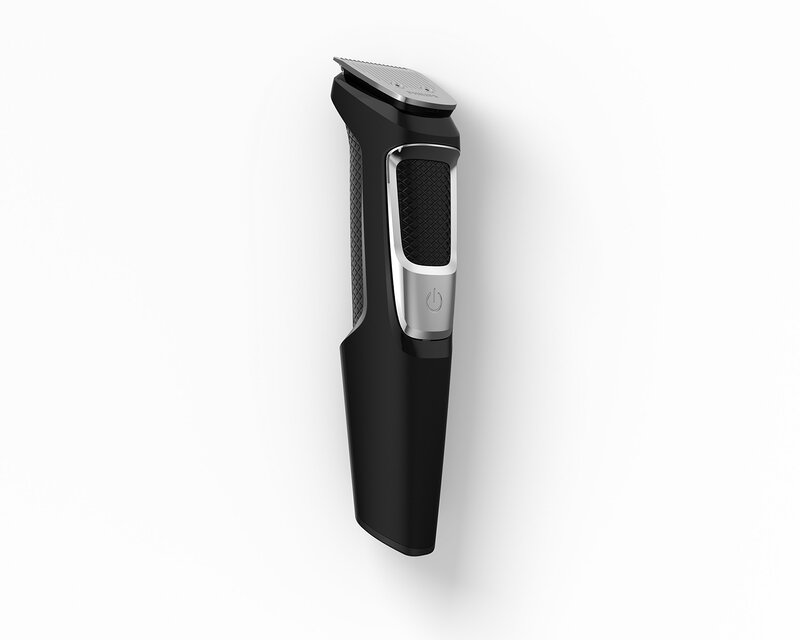 The battery’s quick-charge feature allows for a full trim after 5 minutes of charging. 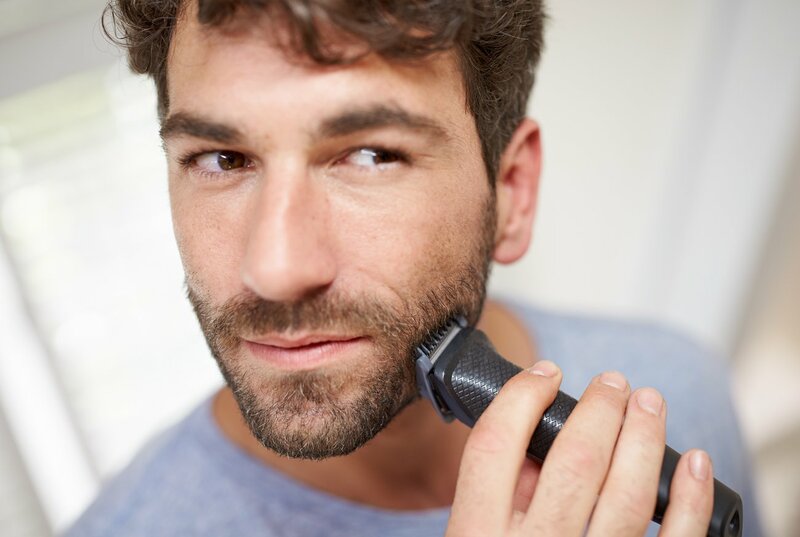 The trimmer's precise steel blades create clean, straight lines and evenly trim through the thickest hair without irritation. 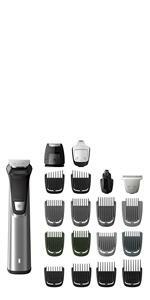 The narrow design of the full-metal precision trimmer makes it easy to precisely edge and finish small details. 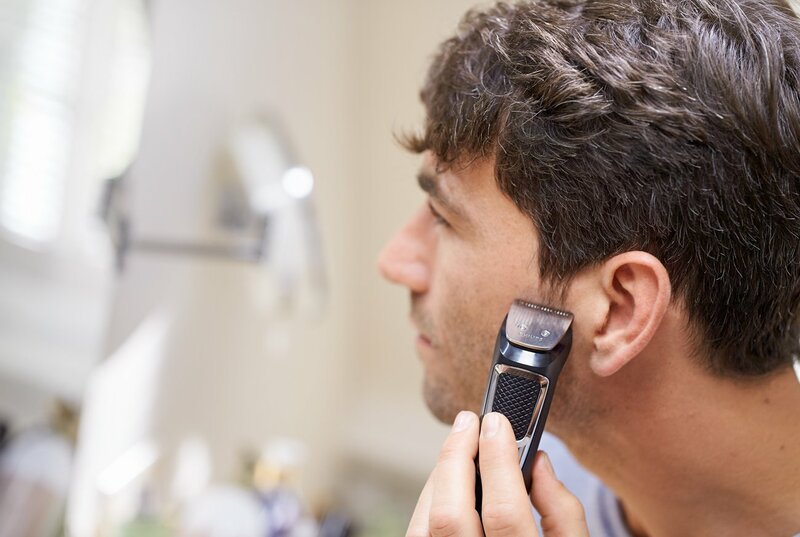 The trimmer quickly trims unwanted nose and ear hair without nicks or cuts. 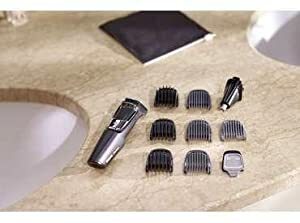 Quickly touch up your haircut with the three reinforced cutting guards. 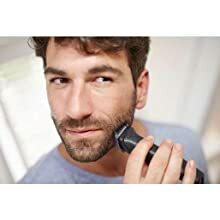 For comfortable trimming of any beard style. The reinforced design prevents bending and buckling for even results every time. For creating an even, stubbled look with ease. The high-powered rechargeable battery delivers 60 minutes of use per charge. The 5 minute quick-charge delivers enough power for one full trim. 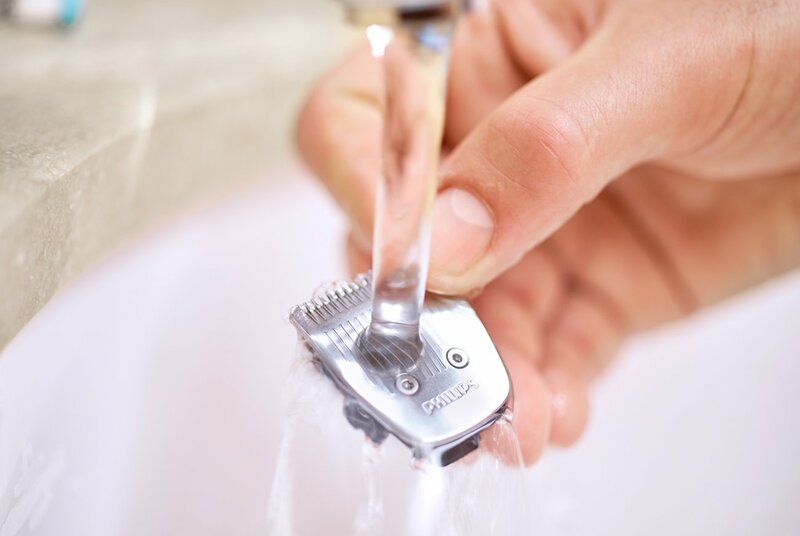 Non-corrosive blades and guards are water resistant for easy cleaning.